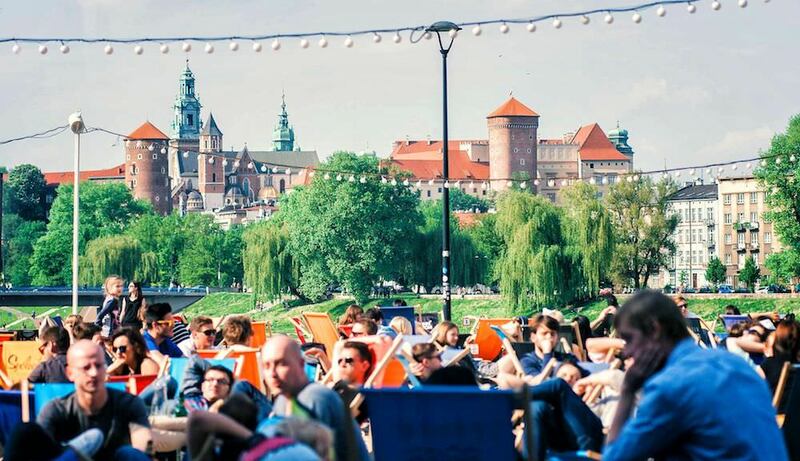 Krakow—Poland's second-largest city—doesn't seem much like Warsaw. Whereas Poland's capital feels modern and gritty (largely the result of the turbulence of the 20th century), Krakow feels old and elegant. The charming historic center, a mix of Medieval urban design and Renaissance sensibility, is a UNESCO World Heritage Site in every way imaginable. And at first glance, it would be easy to confuse Krakow with an open air museum. 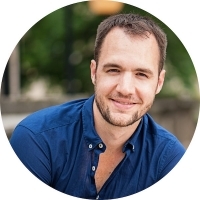 Yet, if you take the time to look a little deeper (or if you do as I did and speak with the locals), you see that the Krakow residents call home is very much a living city—complete with exciting culinary experiments, vibrant subcultures, and intriguing nightlife. 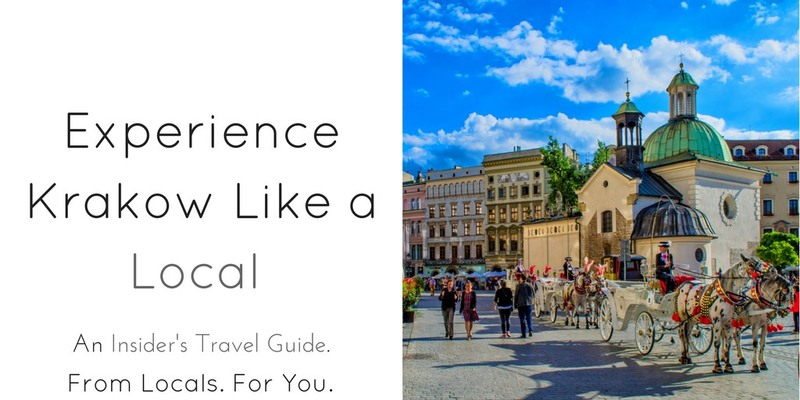 Fortunately, you too can experience Krakow this way by following what I learned: 14 insider travel tips to experience Krakow like a local. Grab a Zapiekanka in Plac Nowy. Almost every local I spoke to in Krakow was adamant that I should try zapiekanka—a toasted baguette, most often topped with sautéed mushrooms, grated cheese, and, logically, ketchup. Having originated in the 1970s as a cheap way to feed hungry Poles during the austere Communist Era, it is now the quintessential Polish street food. Zapiekanka can come with some interesting toppings. I tried one with fried onions, jalapeños, spicy sausage, sour cream, and cheese. Thankfully I didn't have to kiss anyone right after! While you can find zapiekanka everywhere in Poland (I had my first one at a gas station outside Warsaw), the best place to do so is in Krakow’s Plac Nowy [New Square], in the heart of the Kazimierz district. In the square’s center is a rotunda lined with window-front zapiekanka stalls. The ordering process is a bit slow, but you can entertain yourself by looking and listening to the crowd, which is mostly made up of locals. I asked around to try and figure out which stall has the best zapiekanka, but opinions were varied. Frankly, I don’t think it really matters; all the stalls seemed to be serving the same thing. Locals standing in line to get their favorite zapiekanka. Once you’re done eating you can take a stroll around the rotunda, checking out the stalls where merchants sell an eclectic array of knick-knacks—from tiki-shack furnishings to Nazi memorabilia to velvet paintings. I have no idea if any of this stuff was real or just elaborate—if not in-poor-taste—forgeries for unsuspecting tourists. Eat Kosher in the former Jewish Quarter. 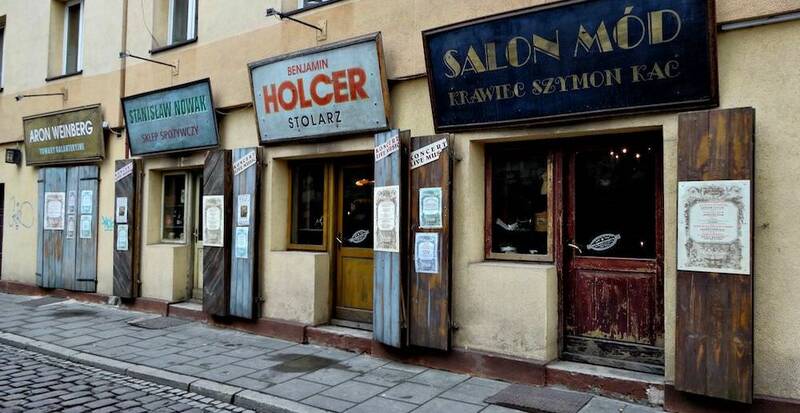 Prior to the horrors of World War II, Krakow’s Kazimierz district housed one of Europe’s largest Jewish populations. And while only a few Jews live there today, visitors can still taste their legacy by eating at one of the area’s kosher restaurants. Kosher cuisine is prepared following a strict set of religious laws that have been passed down for hundreds of years. This, combined with the limited ingredients available to European Jews throughout much of history, created a food culture distinct from traditional Polish cuisine. Examples of popular dishes include borscht [beetroot soup, usually served with sour cream], chicken soup, kreplach [stuffed dumplings, often in broth], and bagels [yes, they’re not originally from New York!]. Alas, this stand was all out of lox. The oldest Jewish-style restaurant in Krakow is Ariel [Szeroka 18], which serves a variety of tasty kosher dishes in a unique setting complete with timber furniture, Jewish knickknacks, occasional klezmer music, and paintings of Rabbis. Some say it’s charming, while others argue it’s tacky. Another good option is Dawno Temu Na Kazimierzu [Szeroka 1], which translated to English means ‘Once Upon a Time in Kazimierz’. True to the name, the interior and exterior of this restaurant have been carefully designed to replicate the appearance of early twentieth-century Krakow. Oh, and the food’s not bad either. Despite the historical lineage these and other restaurants claim, some argue that they are simple lazy attempts to capitalize on sentimentalism on the part of traveling Jews and ignorance on the part of visiting gentiles. I didn’t get that sense while eating in Kazimierz, but I’m neither an expert in Jewish cuisine nor culture. Mix things up for Dinner. Thanks to its central European location and the international interests of its rulers, Krakow developed a distinct cuisine based on local and foreign tastes. Today, visitors can sample this tradition at a variety of restaurants. Karakter [Brzozowa 17] serves a fusion of modern French and Polish cuisine in a stylish interior, that’s reminiscent of a black-and-white Mondrian painting. The meat and fish dishes here are excellent. Gruba Bula [Na przejściu 31] offers Krakow’s best burgers, using locale-sourced ingredients to recreate flavor profiles from around the world. Visit a Milk Bar. While I Warsaw I fell in love with milk bars—the cafeteria-like spots dating from the Communist era where Poles go to get a cheap, dairy-based meal (hence the name)—so I was thrilled to find out that they also exist in Krakow. Milkbar Tomasz [Świętego Tomasza 24], offers budget-friendly meals to locals and travelers alike, in a cozy atmosphere that is reminiscent less of its counterparts in Warsaw, and more of French bistros. The ever-crowded Bar Mleczny Gornik [Czysta 1] is another good choice. If the weather is nice, get your food to go and have a picnic in the nearby Planty Park. Just be sure to bring your own cutlery! Few things taste better on cold and damp days than chicken noodle soup, which is good because it rained nearly the entire time I was in Krakow. Grab a cocktail at a bar with a cool name. It seems like every good cocktail bar in Krakow has a cool name. As you might expect, TramBar [Stolarska 5] is a homage to street cars, with model trains and subway maps adorning its walls and real tram car benches as seats. The cucumber basil smash I had here was one of the best cocktails I have had in my life. Who wouldn't want to sit and drink here? Alchemia [Estery 5] is a classic dark bar, and the place to go if you want to get that true Krakow vibe. While they may act indifferent, the bar staff creates some great drinks that seem to fit right in with the retro funky furniture, and the vintage knickknacks on the walls. When not used as a disco, Alchemia’s cellar hosts some of Krakow’s best concerts. Found at the top of a narrow stairwell in Kazimierz, Sababa [Szeroka 2] has a speakeasy vibe, with a limited—but tasty—menu of cocktails. Also in Kazimierz, Zenit [Miodowa 19] serves excellent breakfast-inspired cocktails (think Graperfruit and rosemary) throughout the day from their gilded bar. Their menu is also quite tasty. Drink and read at Cheder. Located in Kazimierz, Cheder [Józefa 36] is a relaxed cafe specializing in teas and coffees from around the world, and the perfect place to cozy up for a read on a cold day as Israeli indie music plays in the background. Don’t have a book? Don’t worry—there’s a literal wall full of books to choose from, many of which are in English. Vodka, vodka, vodka. Whether served after dinner or drank at a bar, one cannot leave Krakow without having sampled the vodka. You may be familiar with internationally-recognized brands like Belvedere, Chopin, or Żubrówka [AKA bison grass vodka], but most bars and restaurants create their own variations, infusing vodka with herbs, spices, and fruit. What's better than Polish vodka? 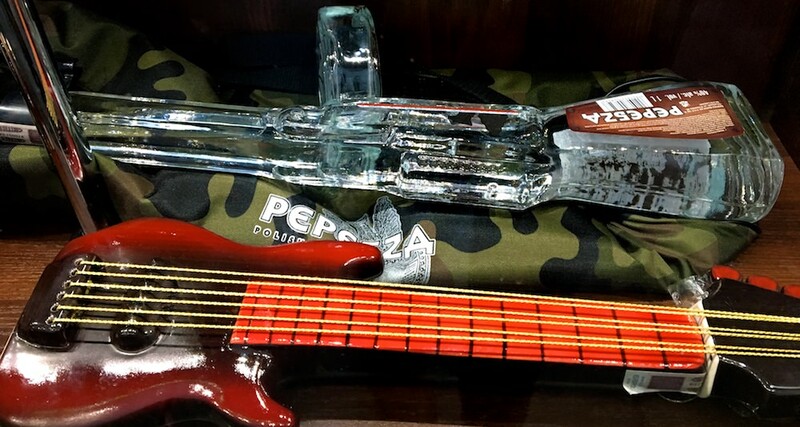 Polish vodka that comes in a machine-gun shaped bottle, of course! 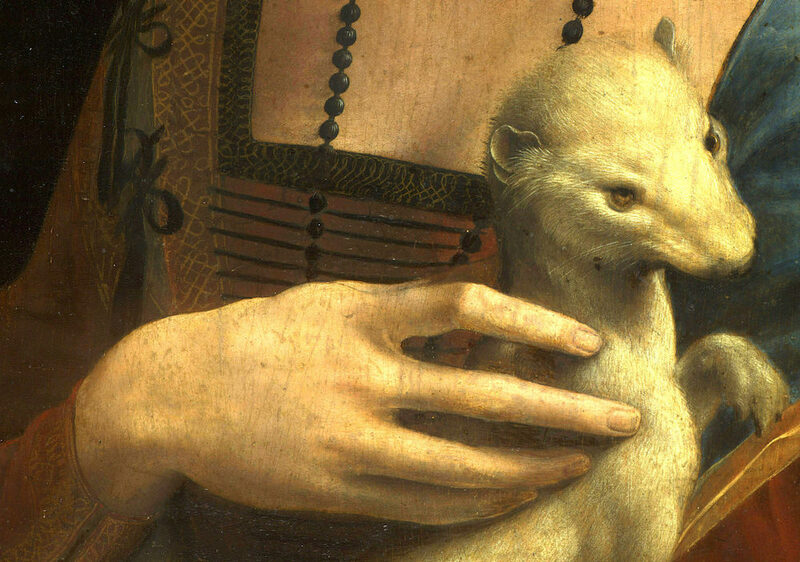 See the Lady with the Ermine. Leonardo da Vinci’s Lady with the Ermine [Dama z gronostajem] is a must see for any art lover visiting Krakow. Originally painted for the Duke of Milan around 1490, art historians believe it depicts Cecilia Gallerani, his teenage mistress. She holds an ermine (also known as a stoat; it's essentially a longer-tailed weasel) in her arms, which symbolized purity at the time, as it was though that they would rather face death than soil their white coats (I don't think scientists have been able to confirm that theory). 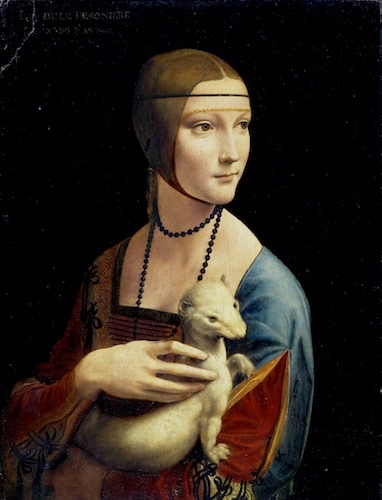 Leonardo da Vinci's Lady with the Ermine. Documents indicate that the Lady with the Ermine was in Poland by the end of the 18th century, when it was in the collection of the local Czartoryski family. The Nazis seized the painting during the occupation of Poland in 1939, and it was rediscovered in a Bavarian castle at the end of World War II. The Lady with the Ermine was subsequently returned to the Czartoryski family, who owned it until 2016, when the Polish government purchased it and number of other minor works for upwards of two billion euros. While less famous than the Mona Lisa, it’s this [former] art historian’s opinion that the Lady with the Ermine is the superior—and sans the large crowds one finds at the Louvre, certainly more easily-enjoyed—portrait. Note the skill with which Leonardo painted the ermine's fur, within which individual strands are visible. At the time of writing, the painting was temporarily located in the National Museum in Krakow [Al. 3 Maja 1] while its permanent home—the Princes Czartoryski Museum [św. Jana 19]—is undergoing restoration. It is expected to moved back in 2019. Climb up Wawel Hill. It's not much of a hike to the top of Wawel Hill, but that's not the point. Instead, visitors are greeted with an impressive complex of religious and government buildings that are filled with testaments to Polish history. It very much feels a UNESCO World Heritage Site. Originally built in the 11th century (and since rebuilt twice—most recently in the 1300s), Gothic-styled Wawel Cathedral has witnessed the coronations, funerals, and burials of some of Poland’s most important historic figures. Most recently, it was from here that Karol Wojtyla—the future Pope John Paul II—served as Archbishop of Krakow. There is no charge to enter the Cathedral, but it’s worth buying the combo ticket that allows you to see the spectacular view of Krakow atop the bell tower (as well as giving you access to the royal tombs and cathedral museum). You can purchase tickets in the building across from the Cathedral for 12 zl [$3.50]. I swear, the view is spectacular when the sun is shining! 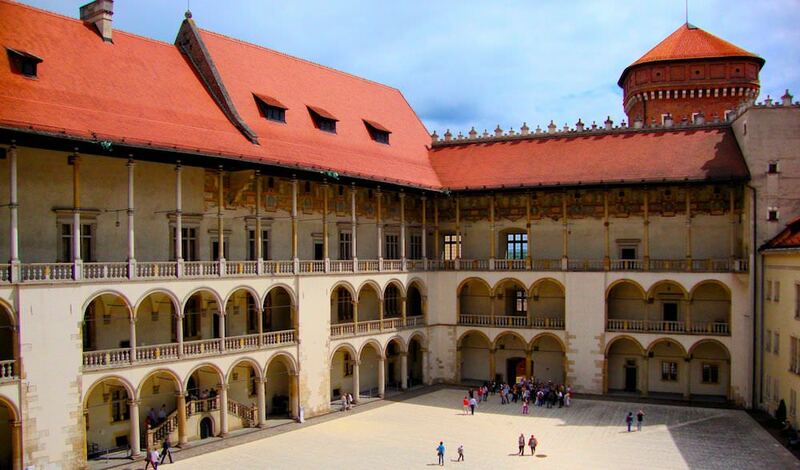 For hundreds of years, Wawel Royal Castle served as the political and cultural center of Poland. The current building a mix of baroque, renaissance, and medieval architecture—the result of numerous expansions and rebuilds. It currently houses a series of museums (each on a separate ticket; purchasable in the Visitor’s Center), with the best being the State Rooms (18 zl ($5.20). Tickets are sold in the Visitors Center. 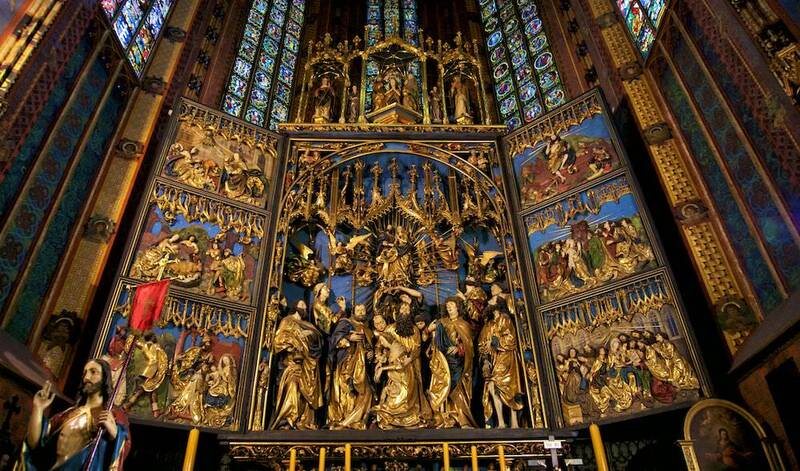 Marvel at the massive Veit Stoss Altarpiece. Measuring more than 40 feet [13 m] in height, the Veit Stoss altarpiece—located in St. Mary’s Basilica [plac Mariacki 5], just off the city’s main square—is the largest Gothic altarpiece in the world and a Polish national treasure. Sculpted by the eponymous Veit Stoss between 1477 and 1484, it depicts scenes from the lives of Jesus and Mary in colorful, gold-laden panels that tower over visitors. The figures in the central scene are more than 12 feet [3 m] tall, each having been carved from a separate tree trunk. I'm pretty sure a few of the statues moved when I was looking (or was that the vodka I had at lunch?). While access to the Basilica is free for worshipers via the front entrance, a ticket is required for visitors wishing to see the altarpiece. You can purchase them in a small shop on the righthand side of the church for 10 zl [$2.50], and enter via an adjacent door. Explore eclectic Kazimierz. For hundreds of years, a thriving Jewish population called the Kazimierz district of Krakow home, living side-by-side in relative harmony with their Christian counterparts and developing a unique cultural blend. This tradition abruptly came to a halt during WWII, when the Nazi occupiers sent the local Jews to labor and concentration camps. Of the 65,000 Jews living in Krakow at the onset of the war, only about 6,000 survived. In subsequent years, the communist authorities largely forgot about Kazimierz, allowing it to devolve into a sort of slum. This changed in 1990, when Steven Steven Spielberg shot Schindler’s List in and around the area. Soon a series of restaurants serving Jewish cuisine (see above) opened up, and Polish and Jewish groups alike took an interest in preserving the neighborhoods historic sights. Although only a small number of Jews live in Kazimierz today, Jewish culture lives on in the district’s architecture, food, and music. For instance, seven synagogues (!) survived the war, most of which are open to visitors. My favorite site in Kazimierz is the Old Synagogue (Alta Shul) [Szeroka 24]. Now housing a museum of Jewish history, this beautiful Renaissance-era building (designed by the Florentine architect Matteo Gucci) clearly displays how European Jews appropriated popular architectural motifs into their own religious structures. Note the marble frame surrounding the ark, which harkens back to the decorated doors found in palaces throughout Europe at the time. Tickets can be purchased directly at the Synagogue 10 zl [$2.50], with admission being free on Mondays. Venture into the Wieliczka Salt Mine. Just 30 minutes by car from Krakow is the Wieliczka Salt Mine, a massive underground complex dug over hundreds of years. Founded in the 1300s, the mine contains an underground lake, an elaborately-decorated church, salt rock sculptures, and more than 300 km (186 miles) of tunnels. Today, a portion of the mine of this UNESCO World Heritage site is open to the public via guided tours. For more information about this incredible site check out our article, Visiting the Wieliczka Salt Mine: Your Complete Guide. The Wieliczka Salt Mine is unlike anyplace I've ever been (and I mean that in a good way)! 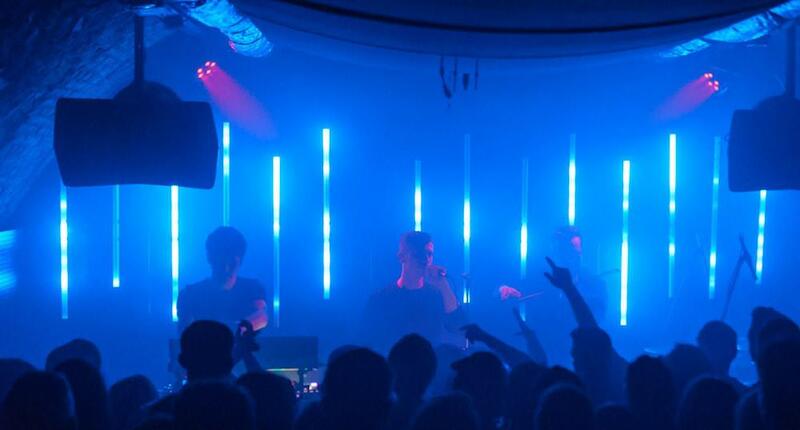 Dance the night away at a techno club. Locals looking for a night of clubbing often head to Prozak 2.0 [plac Dominikański 6], which regularly books big-name techno acts. Szpitalna 1 [Szpitalna 1] is the spot if you prefer more refined electronic music. Baasch performing at Szpitalna 1. Photo by Nodar Kontselidze. Embrace Krakow’s communist past at Forum Przestrzenie. Housed in the abandoned remains of the former (and much-maligned) communist-era Forum Hotel, Forum Przestrzenie [Marii Konopnickiej 28] has become one of Krakow’s most hip spots to chill, especially at night. Join with locals in a game of foosball, or sip a drink while sitting in your choice of a bean bag, beach chair, or retro sofa. Locals hanging out at Forum Przestrzenie, with the Wawel Hill in the background. Get industrial at Dolnych Młynów. This former cigar factory turned cultural center is a hot spot for Krakow's students. In a city filled with Gothic churches and communist-era complexes, it provides a welcome public space that feels decidedly modern and oozes creativity. Dolnych Młynów hosts numerous concerts and outdoor film screenings throughout the year, and houses a number of bars and restaurants that serve food and drink from morning 'til late night. Local favorites include Międzymiastowa [Dolnych Młynów 10/7A; somewhat pricey, but with excellent selection of gin], Meat & Go [Dolnych Młynów 10; fantastic sandwiches], MashRoom [ Dolnych Młynów 10/7B; psychedelic dive bar with cocktails on tap], and Lost Souls Alley - Deadly Walk [Dolnych Młynów 10 ;a legitimately-terror-inducing haunted house]. With so many bars, restaurants, and cultural spaces in close proximity, Dolnych Młynów feels like a miniature city. 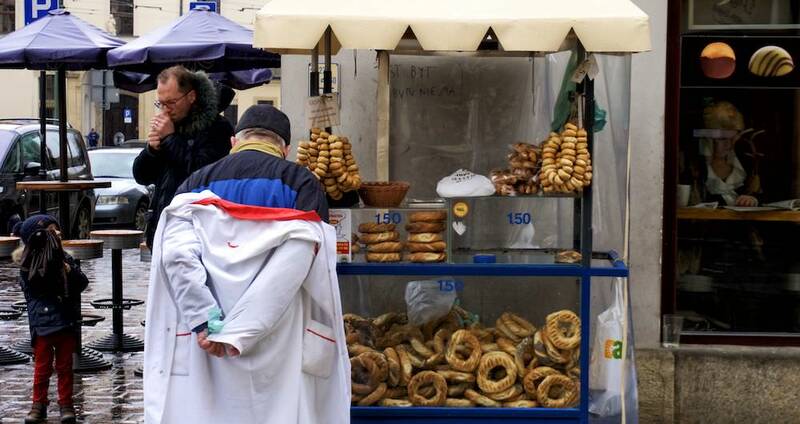 There you have it: your insider's travel guide to experiencing Krakow like a local. As you've seen, this ever-charming cultural capital of Poland has much to offer visitors. 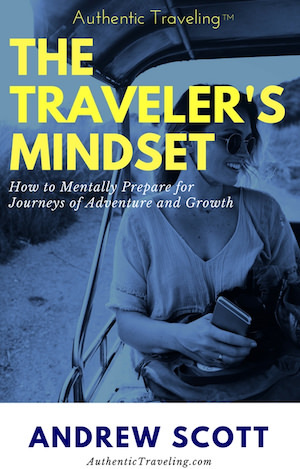 If you're interested in learning how to explore other cities like a local, check out some of the other entries in our series How to Live Like a Local.